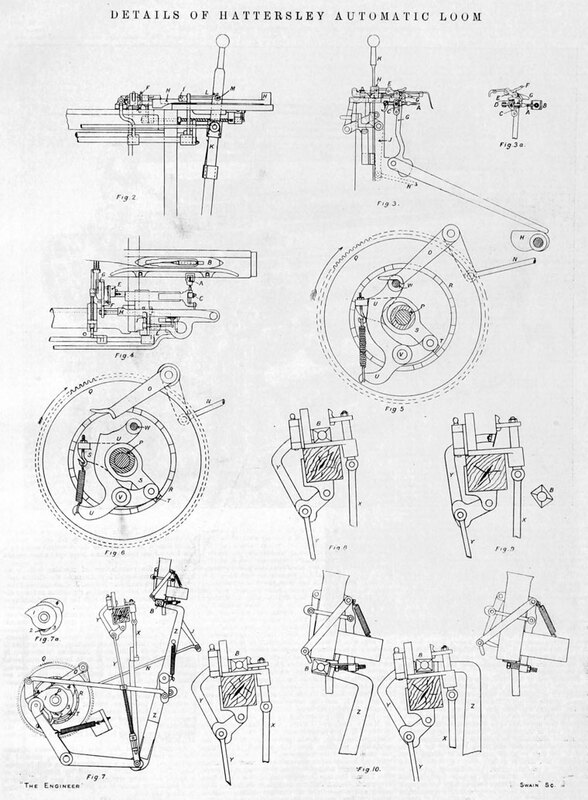 1904. 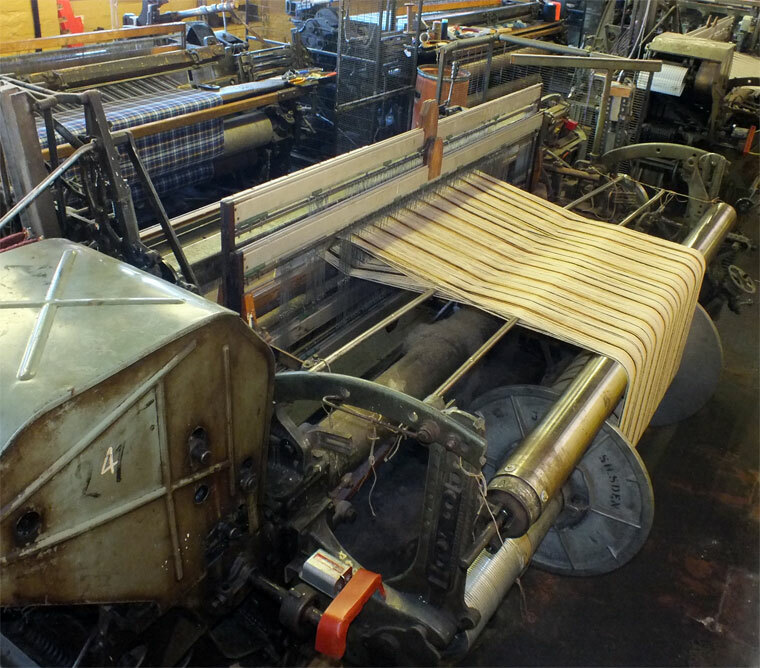 Details of the automatic loom. 1920. Exhibit at National Wool Museum, Geelong. 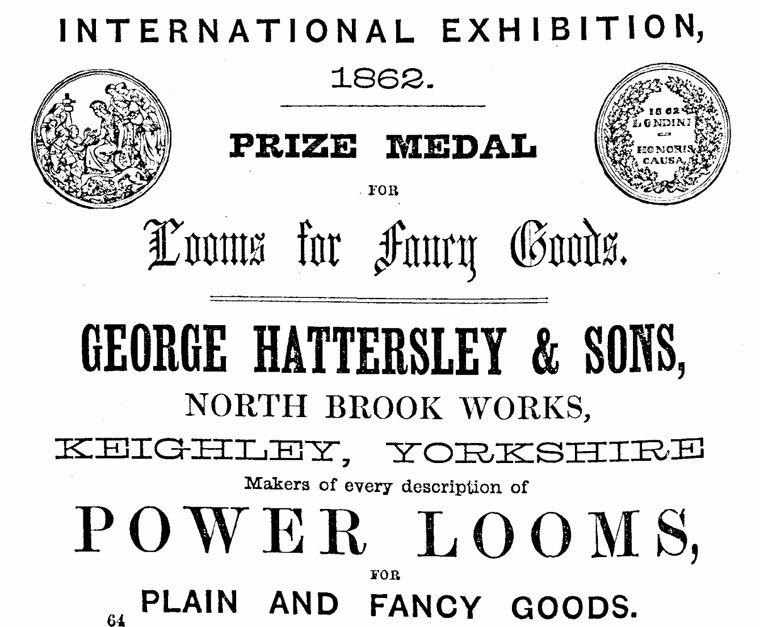 Hattersley Standard Loom. 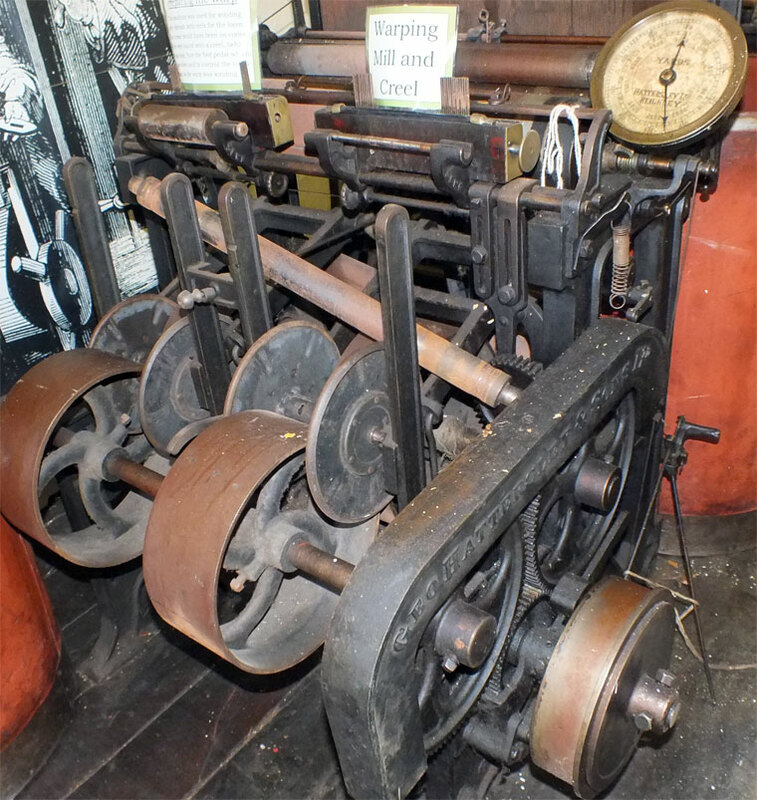 Exhibit at Armley Mill Museum. 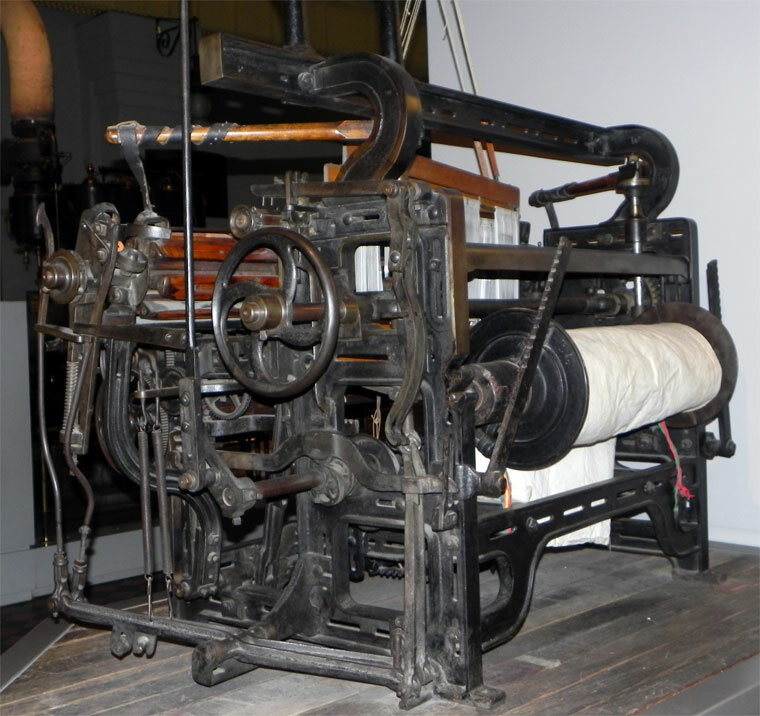 Exhibit at National Wool Museum, Geelong. (Detail). 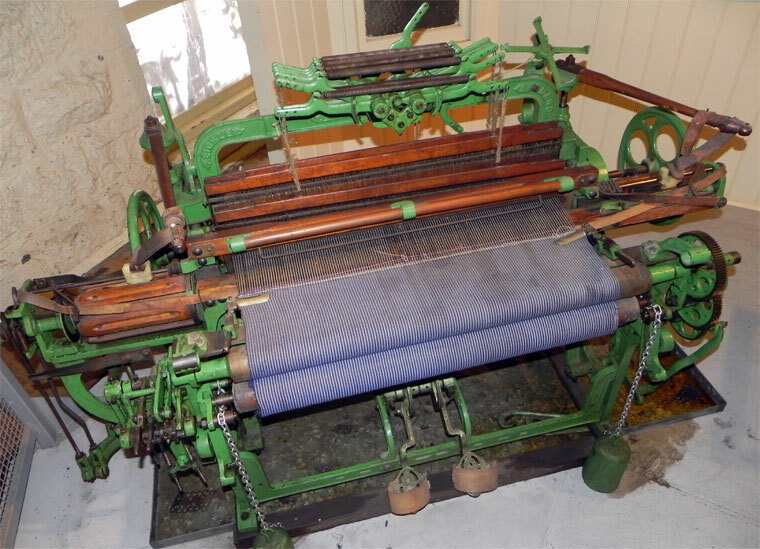 Exhibit at National Wool Museum, Geelong. 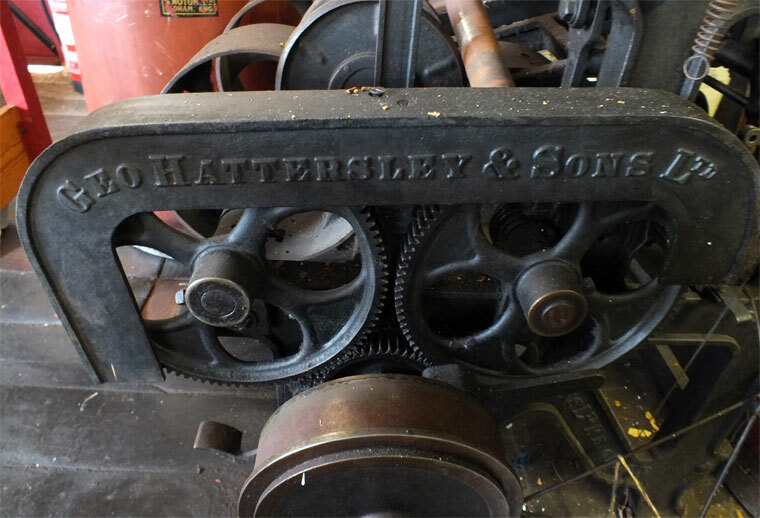 1789 Richard Hattersley founded a business making nuts and bolts - see Hattersley. 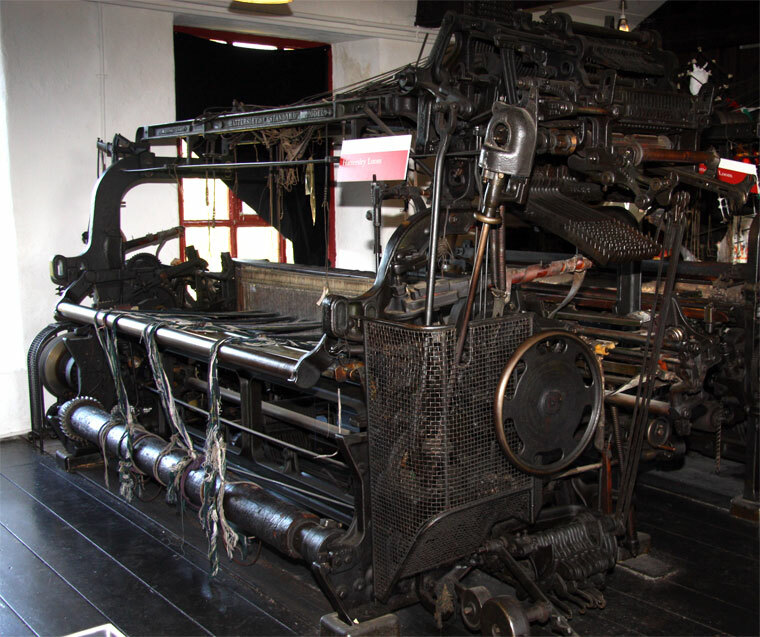 1800 Established the Northbrook Works for the company. 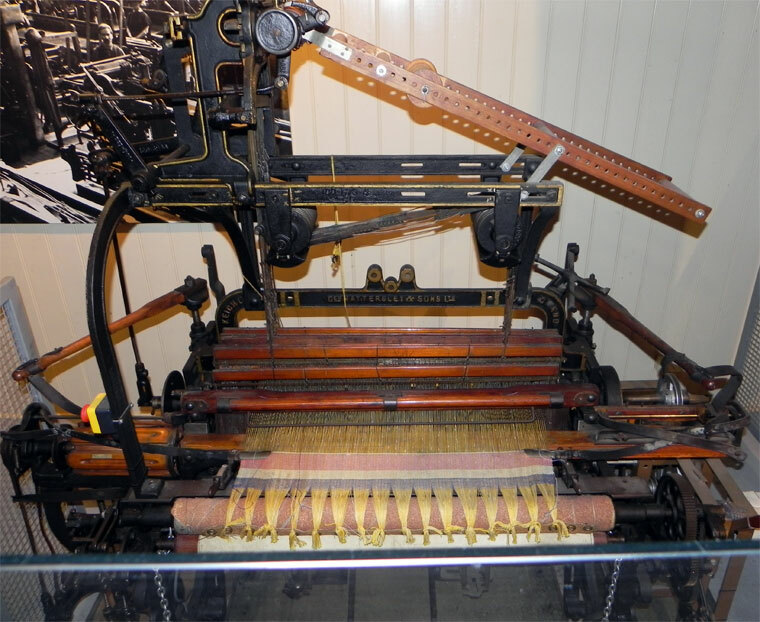 1834 The first power loom was made at the Northbrook works. 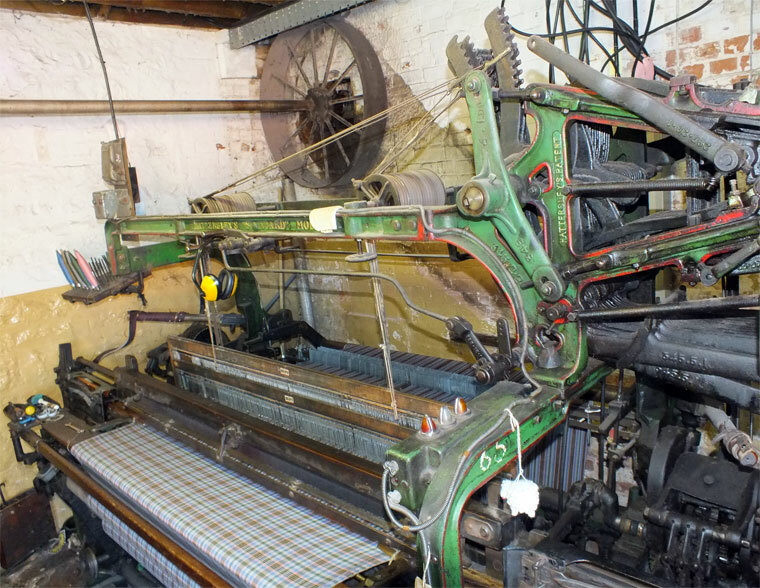 It was broken up by a mob of hand-loom weavers while in transit between Keighley and Bradford. 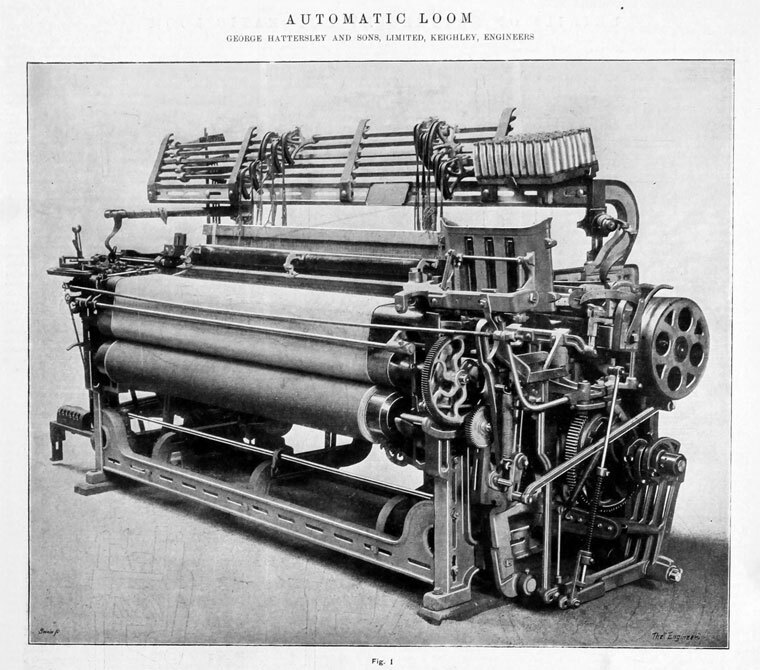 1866 The first revolving box loom was made. 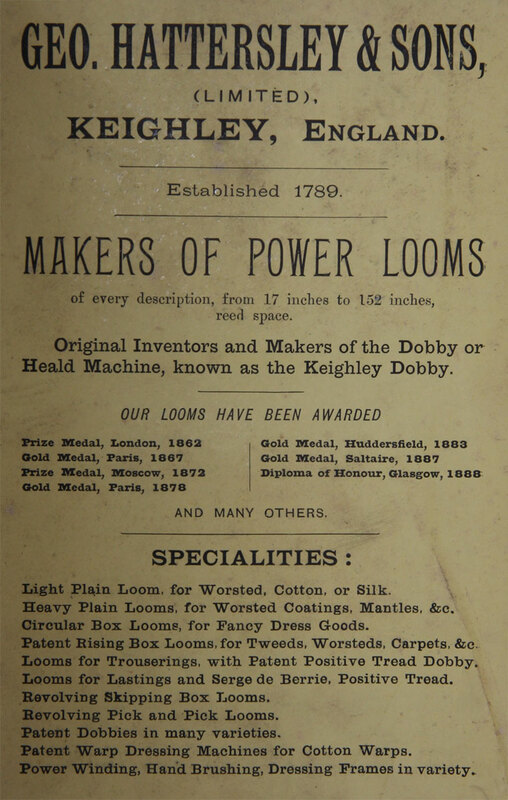 c.1876 The Dobby or Heald Machine was patented, known as the "Keighley Dobby." 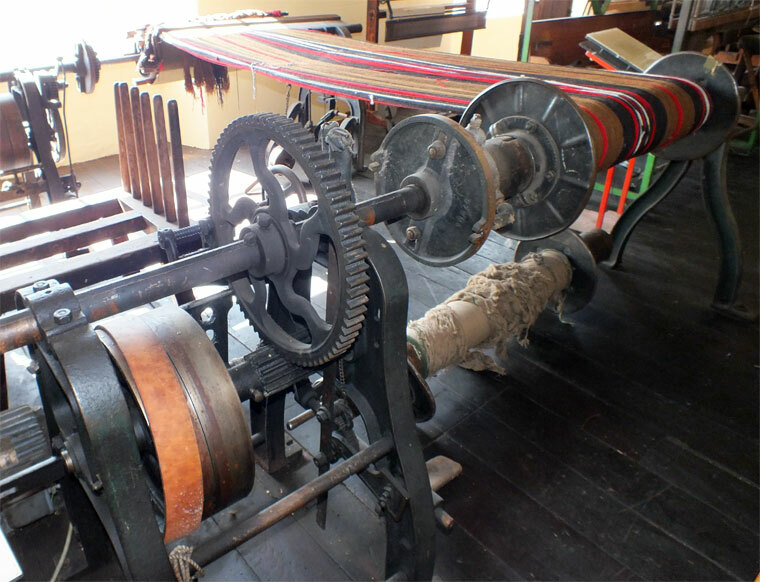 Became the producer of hundreds of different sizes and types of looms. 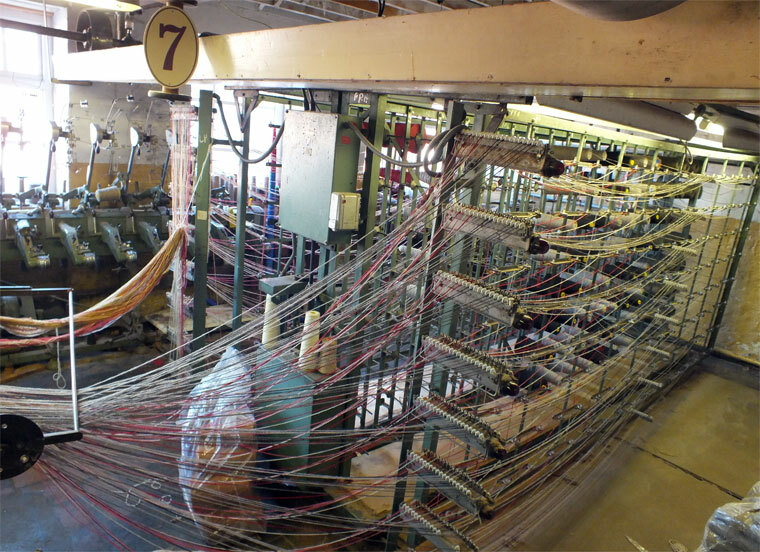 World-wide reputation for wool-preparing machinery. 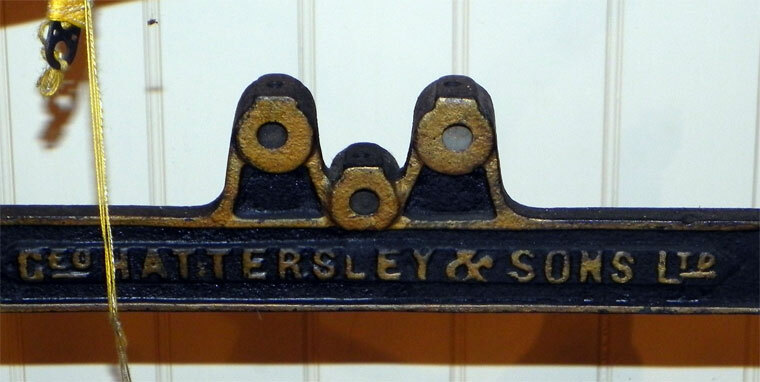 1888 Private company. The business continued in the control of the original family. Cop Winder. 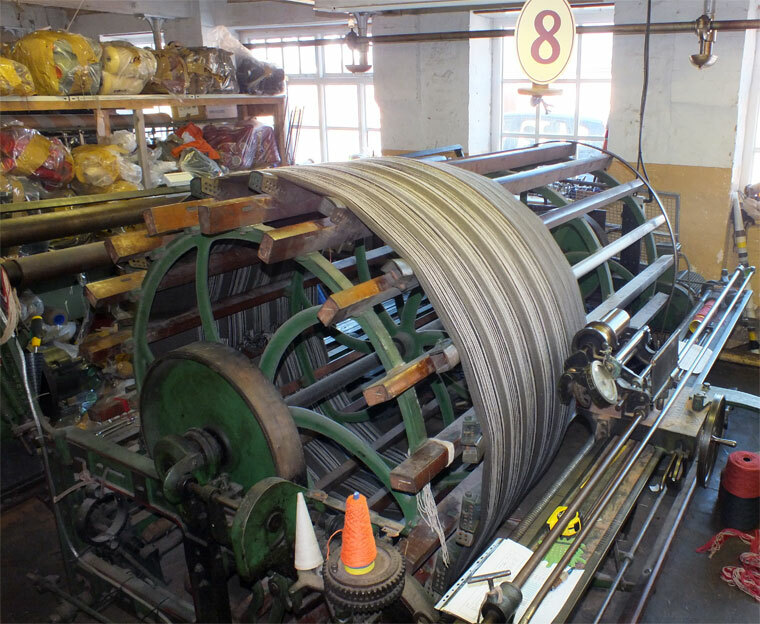 Exhibit at Queen Street Mill Museum. 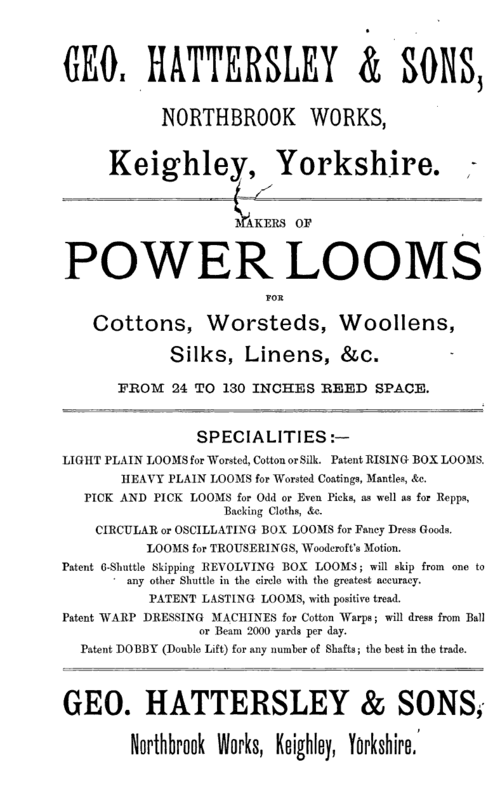 A number of their looms. 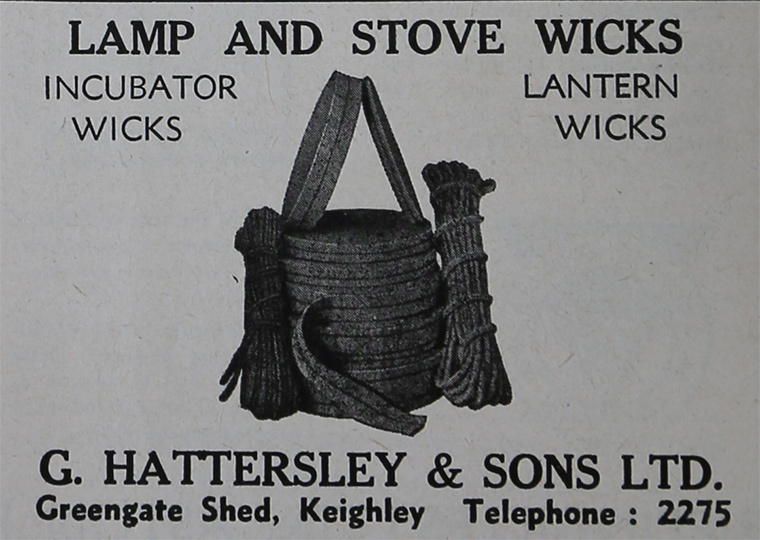 Exhibit at Bradford Industrial Museum. This page was last edited on 6 November 2018, at 16:50.